LISTEN TO SARAH HARPER NOW! Around the world, populations are growing older. But is that because people are living longer? Or could it be that there are fewer younger people to dilute the demographic pool? And what about aging itself — when exactly is ‘old’ these days? Sarah Harper, an Oxford University professor of gerontology and director of the Oxford Institute of Population Ageing, grapples with these sorts of questions every day, asking how these changes will affect relationships, labor, migration, and even the environment. And while she presents the questions as challenges, she’s not arguing these challenges need end in tears. Harper started her career as a news reporter for the BBC before training at the University of Chicago’s center of Demography and Economics. Her postdoc career took her to China and the Pacific Rim, and she was the first holder of the International Chair in Old Age Financial Security established at the University of Malaya in 2009. She also is involved with a number of demographic and aging-related projects, such as being co-principal investigator for the Oxford Global Ageing Study and leading The Clore Population-Environment Interactions Programme. David Edmonds: People are living longer. Over the past generation, there’s been a dramatic increase in longevity, and that will have dramatic implications, for example, for the cost of providing health services, and for how long we will all have to remain in work. 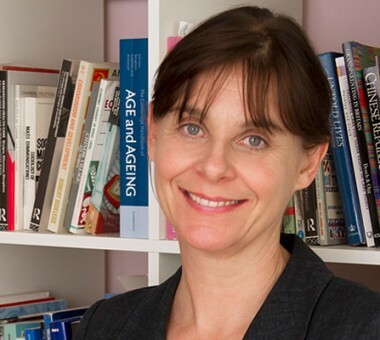 Sarah Harper is professor of gerontology at Oxford University. Nigel Warburton: Sarah Harper, welcome to Social Science Bites. NW: The topic we’re going to focus on is The Population Challenge for the 21st Century. Now, what is that challenge? SH: Well, I think what is interesting about population is that at the end of the 20th century we saw tremendous changes which are going to follow through over the 21st century. And basically our population is changing in size; it’s growing very rapidly. We currently have about seven billion people on the planet. That has probably doubled in the lifetime of most adults in this country. It is going to increase – we think – to round about ten billion, and then it’ll probably flatten out. It’s changing in its density; we’re all becoming far more urban. Currently, we have about half the world’s population living in an urban area. That will increase to 75 percent by the middle of the century and to about 80 – 90 percent by the end of the century, where nearly everyone on the planet will be living in an urban area. Distribution of population is changing. We’re becoming mobile in a different way; traditional migration patterns are changing; who migrates is changing; where they migrate. And probably, I think, one of the greatest challenges is a massive change in the age structure of the population in so much as, across the world, women are having fewer children, and, as a consequence, as we’re also living longer, the age composition of our population is changing. So, for example, by the middle of the century, for the very first time, there will be as many old people as there are young people on this planet. NW: That’s a lot of information. And I’m really interested how you know it. SH: Well, we have some very, very good demography databases. The United Nations, for example, nowadays has a pretty good collection of population statistics. But they vary. Some countries, the database from which the UN can draw its statistics, obviously the statistics are not as good as in other countries. But I think what we can probably say is that we are now sophisticated enough in our analysis that we can pretty well get the trends right, but we often underestimate the pace. So, if I say that there are three main contributors to population: two big drivers. One is falling fertility – that’s falling childbearing; and one is falling mortality – or falling death rates. We can pretty well project those forward but, as in the past, we quite often get the timing wrong. The third one is migration, and that’s extremely difficult, and that’s because obviously, year by year, month by month, day by day, people are making decisions and those decisions change, and, as a consequence, where they live and where they move to – it’s much, much more difficult to estimate that. But if we put migration aside for a moment, although we have a lot of theoretical perspectives on where, and how, and why people move, we can say that in terms of falling fertility – the decisions women across the world make to reduce their childbearing – and in terms of falling mortality – that’s death both across the life-course, and extending our longevity because we’re living longer and longer – we can pretty well say, from the data we have at the moment, that these trends will probably continue. NW: So, globally, there are going to be more old people around the further you go into this century? SH: Absolutely. But we have to be careful how we define “old people.” Because currently, at the moment, we tend to take a very old view which is that 60/65 is when people go into old age. And a lot of that is based on historical decisions to have 65 as the state pension age in Europe. And now, when 65 was chosen as the state pension age by Bismarck in the middle of the 19th century, half the European population was dead by 45. If you got to 65, you really were old. Now, half the European population has a really good chance of making it to 85. And if we look at the health status of European populations in particular – but also, obviously, North America and Australian, most OECD populations, Japan, Korea for example – we can say that we are pushing back the onset of the disabilities associated with old age. So much so that by one statistic, the health profile of a 70-year- old man today is very similar to his father’s when his father was in his late 50s. So, in one generation, we really have pushed back the onset of disability. Definitely when I was a child, if people made it into his 70s, you thought it “great!” Three score years and 10 was what we used to talk about. And both my grandparents on my father’s side died in their 70s and everyone said “great!” Now, in the UK and in many other OECD countries, if someone dies in their 70s, you feel that somehow they have lost a lot of their life. And that means, we’ve had to redefine old age. And I think really old age probably now starts, for many people, sometime in their 70s. Or even, some people are arguing now, that we are able to work until we’re 70 and therefore old age probably is our late 70s or early 80s. So, by that definition, you can say that actually the percentage of old people won’t necessarily get any more. But if we keep it by the statistics that old age starts at 65 and youth finishes at 15 – that’s the UN current definition – yes we’re having not any more older people but far, far fewer children. NW: I’m still not clear whether the key factor that presents a challenge is that older people are less likely to be working, or that older people are more likely, as they get older, to make more significant demands on health services. SH: That is absolutely crucial. And both are correct. Let’s go back a little bit because I think one of the myths we have is that the reason why our population is aging is because we’re living longer. That is true, but the real reason why – across the globe, with the exception of Africa, particularly sub-Saharan Africa and we can maybe talk about that a little later – women are choosing to have fewer children; childbearing is going down. And, as a consequence, the average age of the population is increasing because there are fewer young people in the population. And one way to think about that is that in some societies, for example Afghanistan and Pakistan, you have well over 40 percent of your population under 15. Now, if we project those statistics to the end of the century and remember these are countries where you still have a very high – what we call – total fertility rate, that is, to put it very generally, the average number of children born to women of childbearing age – it’s high at the moment. But the projection is that this will come down sufficiently. That even in these countries, we will drop from round about 40 – 45 percent of the population being children, down to probably below 15 percent. So, one way of looking at it is that the old population pyramid is changing. In the old days, we had this idea of a real pyramid. This was fueled by lots and lots of births at the bottom. And these were young people who would come into our societies and drive our economies. Now, as you have fewer children and in particular if you live longer, then you go eventually into a skyscraper. And if you model the current population of advanced economies, we’ve actually – more or less – reached the skyscraper. But in some countries where fertility has fallen very dramatically – like Japan or Korea – they’re almost in a vase shape. So the first thing we say is that aging societies have fewer people coming in their societies to drive their economies, so much so that the OECD, for example, has recently shown that OECD countries – within, I don’t know, round about 2017 or so – there will be more people leaving the labor market in OECD countries than coming into it. When you put that together with the other side and say if we’re going to still have people retiring in their 50s or 60s and then living long, long lives, we have the challenge of society, that we may have reduced the child-dependence but we’re dramatically increasing the older dependence. We’ve got to look at that section of life in two ways. Firstly, why are healthy, active people in their 50s and 60s leaving the labor market when their health profile would suggest that not all but the majority can still stay active and contributory probably until they’re seventy? But inevitably, even if we live longer and longer and medical technology and science comes in, most people are going to experience a period of frailty and disability at the end of their lives. So, the second question is: how long will that be? And if we enter a situation where, even if people are working until they’re 70 and don’t become frail until they’re 85, if you then have 20 years of frailty – which is unusual today but more likely in the future – that is where the burden of dependency comes. NW: You’ve presented this aging population as a challenge. But it could be an asset if it goes the right way, because presumably people accumulate experience, skills, knowledge, capacities to pass that on and contribute not just directly within the economy but also indirectly through childcare; through education; through supporting people going into careers. SH: I think that’s exactly right. And interestingly enough, in the last 25 years, this debate has moved around from the problem of an aging society to the challenge of the society of an aging society. And now people talk about the opportunity. If you like, the trend in demography is fixed. It’s not surprising; we’ve seen it coming for quite a long time. I think it’s happened faster in some parts of the world than we thought. But here, at least in advanced economies, we’ve had a lot of time to plan for this. And a lot of it is just changing behavior, and policy, and political will to grasp what – as you say – is a tremendous opportunity. However, in less-developed countries particularly Asia and Latin America, where – unlike Europe which had 150 years to go from being young to old; we became mature by the measure that there are more people over 60 than under 15 in our society at the millennium: Asia will become mature; there’ll be more older people in Asia than younger people by about 2040. And this is happening in about 25 years. So we had 150 years, some parts in Asia and Latin America – some countries – are going to do this in 25 years. So they have a much bigger challenge than us. But if you look at advanced economies, it is actually very possible, particularly if we are pushing back the onset of disability, to compensate for the lack of younger people coming in – and really to make it an advantage because, as you say, older people tend to have certain expertise, skills, and experience. Now one of the problems, of course, is that demography doesn’t change in a vacuum. One of my colleagues says, very wisely, that if we look at demographic projections and we think they’re the only things that are going to change and we forget of course that the whole of society will change over that time span – that’s when we make the mistake. So the very time that we’ve had the aging of the population in Europe, and to a certain extent in the States, we’ve had the growth of the youth culture. And one of the really big shifts that happened was at the end of the 20th century. So, another demographic driver: we had the baby boom generation coming through – that’s the post-war large births that we found in the US, and Canada, and, to a certain extent, here in Europe. And they were entering the labor market. What are we going to do with all these people needing jobs? Booming economies? Fine! Let’s just cast out – quote – older people! And the older people got younger and younger until we were encouraging people at 50 to take early retirement. I stuck my head above the parapet about five years ago at a conference and I said in my lifetime I think we will see state pension age at age 70. Well, very shortly after that, David Cameron announced that the UK was going to start shifting state pension age up to 68. And in June 2014 the Australian government came out with a proposal that state pension age should be 70 – affecting those born after 1966. That’s a huge leap. And they’re not just doing it for pensions. I think they’re doing it because of skills and experience and the need to retain these workers. NW: Presumably, politicians are doing this as well, because they’re getting access to social science data – research that indicates the direction in which things are going. SH: I think that’s very true. I mean the social sciences, particularly in terms of social surveys, took a long time to take off. And in different countries, different forms of data. So, for example, here in the UK we’ve already had very good birth-cohort data, starting right back in 1946. We surveyed mothers and young children and followed them through. So our knowledge on children and how children have developed over the last 50 years here in the UK is very good. In the US, they have had mid- and older adult life surveys for far longer than we have. And so, they have a real understanding of later life. But now are becoming sufficiently sophisticated that we have a lot of national survey material; we have the ability and the social science tools to be able to put this together. We do a lot of cross-referencing. We combine variables. And so, we’re able to take the same kind of data from different countries with different welfare systems, different economies, different politics, and look at the trends that are happening in the population and the way that different policy agendas affect that. So, I would say, definitely in the 10/15 years, our ability to really engage with good high-quality social science data across – at least – the developed world has increased tremendously. NW: Presumably, that’s because of the combination of digital processing and the Internet? SH: Yes. To a certain extent, the Internet. But without any doubt, digital processing has just transformed things. But also, I think, from a funding point of view. In order to do a serious longitudinal survey, you need real commitment from a funder. Say, you’re going to a survey every five years and you want four waves, you know you need 15/20 years’ worth of funding. And I think it took a while for the funding community to wake up and understand that in the social sciences, that was the kind of magnitude of funding that was needed. NW: Is it fair to say that in your work, you are as much a scientist as you are a social scientist? SH: Definitely. I mean, I think social scientists are scientists. Particularly coming out of population-studies or demography. Without any doubt, it is a very rigorous, mathematical subject that underpins what we do. I think even if we go into more qualitative research, really good high-quality qualitative research can really add tremendously to our understanding of some of the projections and findings from social survey research. I think it can be valuable in two ways. I mean, the traditional way is that you might do a large social survey and then you would use qualitative work to look at a case study which might illustrate your findings. The way I like to think of it is actually that the qualitative research is an ideal vehicle for hypothesis-generating – that you have some ideas; you try it out in a qualitative way; you gain depth of understanding. And then you can test it in a larger quantitative survey to find out how generalizable your qualitative material is. So, I see qualitative research contributing both to statistical social surveys but also to theory-, and concept-, and hypothesis-generating. NW: Ageing studies is, to me, a new subject, in itself. You’ve been projecting ageing population figures into the future. How do you see the subject itself projecting into the future? Do you think it will become a much more important subject than it’s ever been before? SH: One of the things we try to do here at Oxford is really shift the debate. So, I worked on population-studies; that was what I was interested in. First of all, I was very interested in migration, so my postdoc, first of all, was in migration. Then I had a postdoc, where I looked at the impact of the one child policy on the changing age composition of China. And this was in the 1980s, so it was when the Chinese government already then was beginning to realize – at the end of the 1980s – exactly what it potentially was going to be doing to its population. One of the things I think about ageing research here in the UK was that it was very much dominated by social work and social administration. So, a lot of our research was concerned with ideas around health and social care. That was very, very important but it did tend to narrow the focus. My own personal journey was that I went to work at the University of Chicago in the new Chicago Center on the Demography and Economics of Aging, which started in September 1994, which was the month I arrived. And that was because a brilliant man called Richard Sussman had this vision that he should set up a series of centers which would explore economics and demography in the light of the ageing of the American population. And he had already been instrumental in setting up what we call the Health and Retirement Survey. And this was a big survey which – for the very first time – looked at the over-50s. People really hadn’t been interested in the over-50s. We had nothing like it here in Britain. And so, having worked there, when I came back to Oxford I wanted Britain to have the same kind of vantage and wanted to shift the debate away from policy, and health and social care which we were very good at – and has a place – but to look at economics and demography. And so, over the last 15 to 20 years, that is what we here at Oxford have tried to promote. We now have colleagues in Africa, Latin America, throughout Europe, Asia, where we try and shift the debate into the changing age composition of the world. In addition, we encouraged a longitudinal study to start here. And out of that, ELSA was born – which is the English Longitudinal Study of Ageing. Out of ELSA, SHARE was born – which is the European study. And now, we have these ageing studies all over the world. So, I think population ageing really is a subject of the future. One of the really big projects that we’re working on here at Oxford, at the Institute, is on the high fertility-rates in Africa. And the fact that, although total fertility rate – that’s childbearing per woman – is coming down across the globe, in sub-Saharan Africa it’s still high. Two thirds of the world’s countries are now near, at, or below replacement level: that’s round about 2.1. Sub-Saharan Africa is on average between four and seven children. And that does have implications for the world’s population – how large it’s going to be, for resources, for empowering women, for the chances of some of these countries to move themselves out of poverty and high levels of infant mortality. Now that is as much about population ageing as it is about development, because if the African population starts to reduce its childbearing then, inevitably, its population will age. And the idea of this demographic transition, where we go from a young population – which we’ve had historically for centuries and centuries – to an older population, is really what I think the focus of this subject is all about. NW: Sarah Harper, thank you very much. 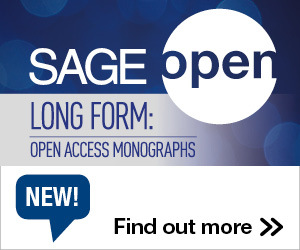 This entry was posted in Public Policy, Research, Social Science Bites and tagged Demography, population, Sarah Harper. Bookmark the permalink. Post a comment or leave a trackback: Trackback URL.